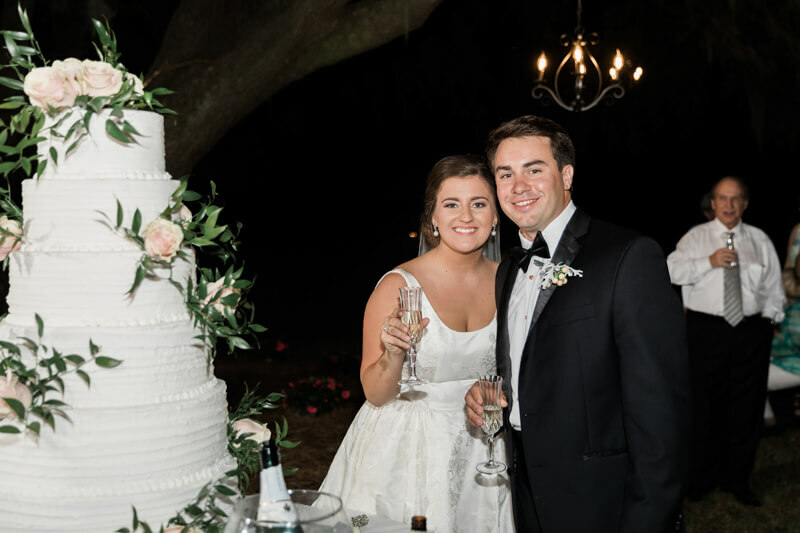 Traditional Southern Wedding - Kingstree, South Carolina. 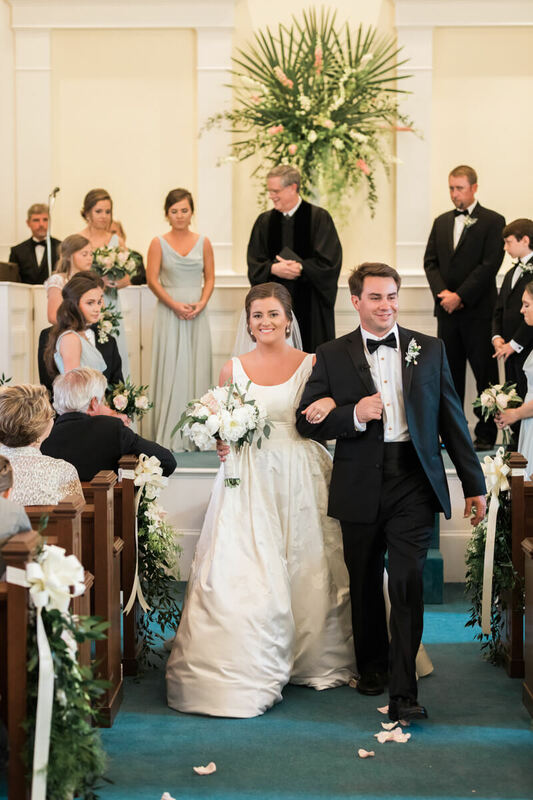 From the photographer: Katie and Bill were married in her hometown Church and then traveled down a country road to her Family's home, for the reception. It had a home-town feel, but trust me, no expense was spared on this event. Katies bridesmaids were dressed in a pale shade of blue and carried all white/blush bouquets, she had 6 flower girls with adorable flower crowns. Katie's dress was a unique one that featured a faint floral design within the fabric with a classic fit. 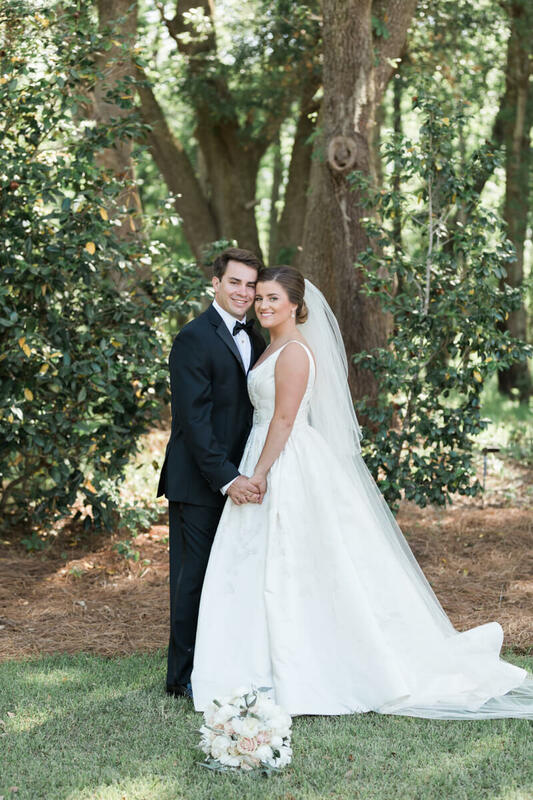 Katie shared a first look with her Father, who presented her with her late Grandmother's handkerchief which brought a few tears, and a first look with Bill out beneath a sprawling mossy Oak tree. 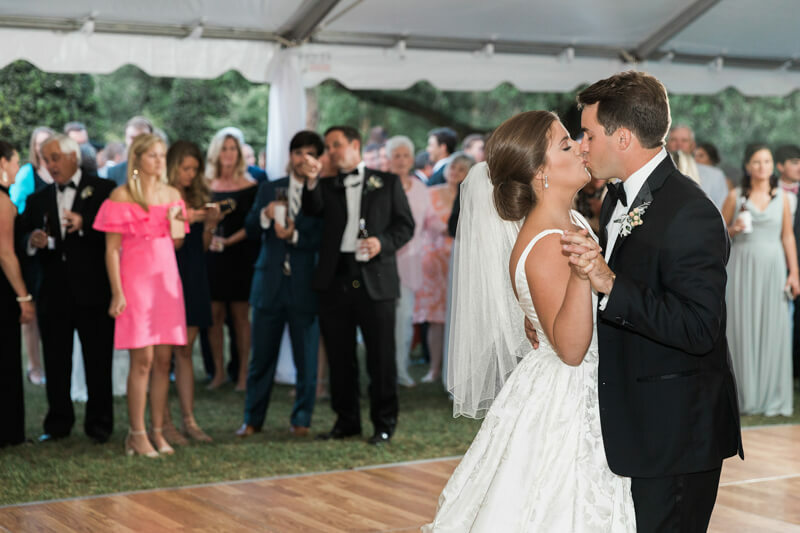 The tented reception featured multiple food stations consisting of sushi, Mexican, sweets, and other Southern Favorites. Beautiful white wooden bars were set up at two locations. Floral arrangements were set on every table and chrystal chandeliers hung from the ceiling of the tent. The cake was set beneath a huge Oak tree just outside the tent, with chandeliers hanging above it. White wooden rocking chairs were set out around the perimeter for guests to enjoy - because thats what you do in the South- hahah! 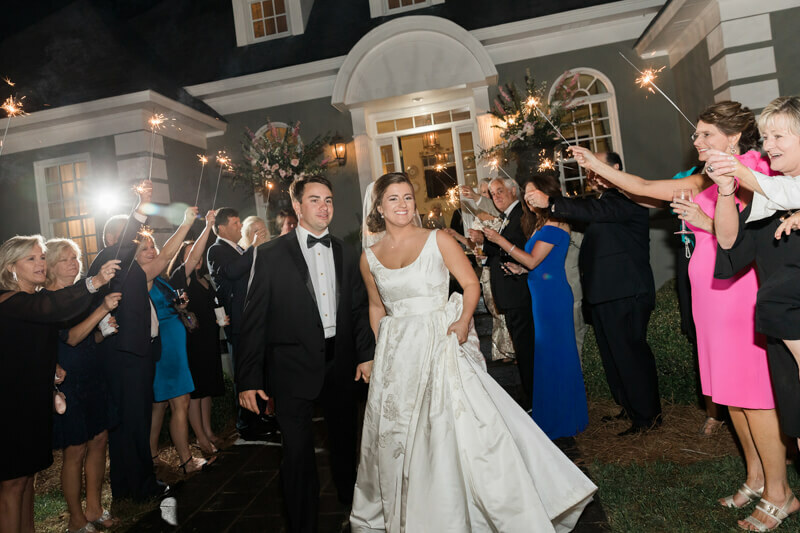 guests danced the night away to a fabulous band and the happy couple exited to paper confetti!